Do you generally forget your phone after placing somewhere? And more often in silent mode? Don’t worry now, just whistle and your phone tells you where it is hidden. No, it’s not a joke. 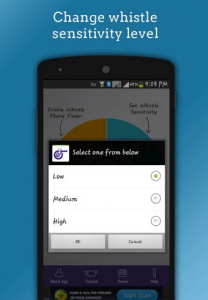 An app has been developed for this purpose, named as “Whistle Phone Finder”. It is an FREE Android phone locator app that helps you to search your misplaced phone or hidden phone. 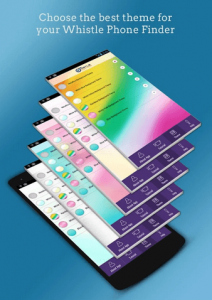 Attractive Graphical User Interface: The app has Eye Catchy UI with six built-in themes. Every theme is attractive and which you like, you can set it for your app. Flash light feature: With new update a flash light feature has been added to the app. You can operate phone’s flash light with this feature. Sound selection: For alert, there are 10 different built-in sounds with app and you can also choose a tone from media playlist. Runs in background: This application runs in background and consumes less power. You can activate and deactivate the phone finder anytime. Once activated then you don’t need to check again. Works only when mobile is in sleep mode. Turn off sound notification by unlocking the screen: When you whistle and your phone identifies it and gives a sound notification, after unlocking the screen it asks for stopping the sound. You can do it there. Adjust whistle sensitivity: You can change the whistle sensitivity level. Tutorial: A tutorial is provided on how to run the application. So these are the fascinating features of this amazing app. Now what are you waiting for? 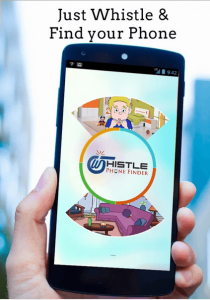 Just download the Whistle Phone Finder from Google Play Store and this time you are not going to regret after leaving your phone on silent mode anywhere in your home or workplace. 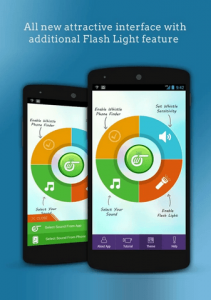 This app is designed and developed by Nine Hertz.